City still retain a game in hand – but that is a tricky proposition, a visit to Old Trafford to take on rivals Manchester United. 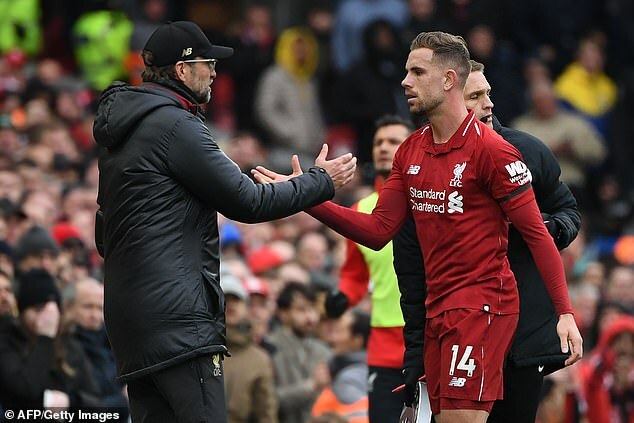 Jurgen Klopp’s team travel to Cardiff City on Sunday before a home fixture against Huddersfield Town the following Friday night. By contrast, City’s remaining games appear – on paper – to be tougher but of course they have five of them to Liverpool’s four. From there, it’s a trip to Burnley on Sunday April 28, a home game against Leicester City on May 4 and a trip to Brighton on the final afternoon. So even though Liverpool have a two-point lead, Pep Guardiola’s team still have their destiny in their own hands. It’s difficult to see how it won’t. 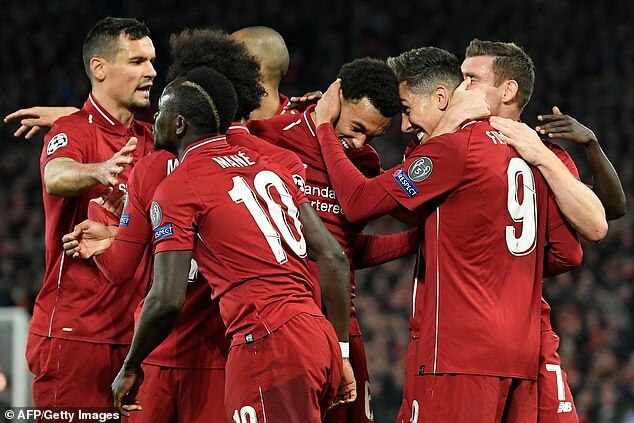 After their wins on Sunday, both teams need to immediately refocus for looming Champions League quarter-final, second leg ties this midweek. 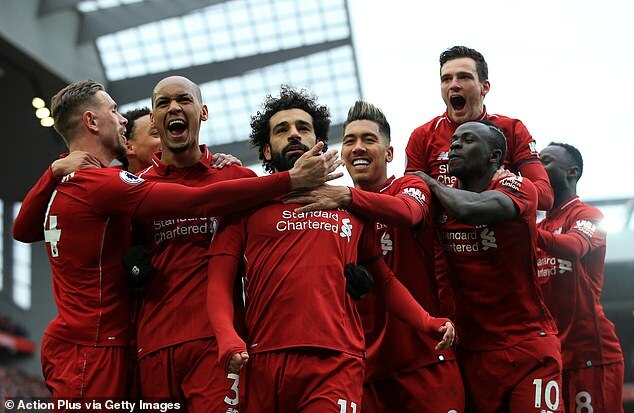 The first legs of the semi-final are scheduled for either April 30 or May 1 – so for Liverpool, this would be between their games with Huddersfield and Newcastle. For City, it’s between the trip to Burnley and the Leicester home game. 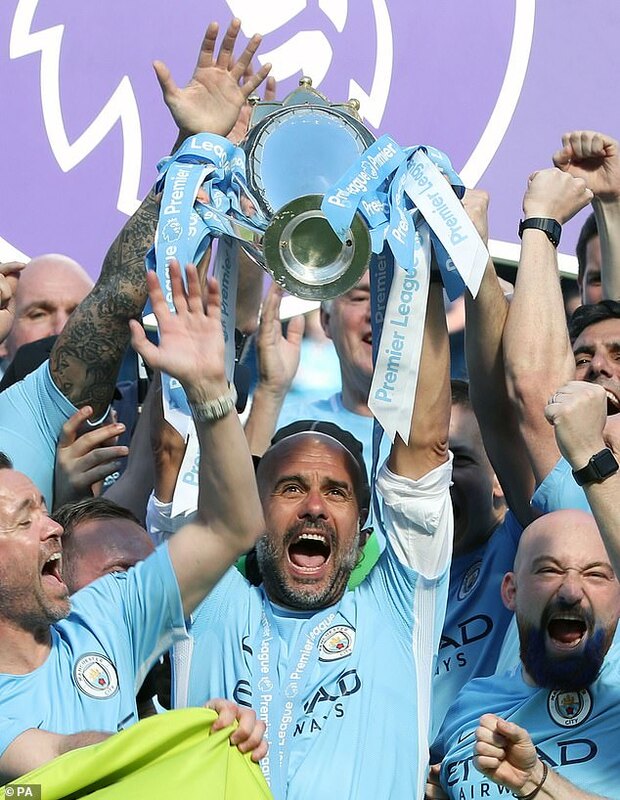 No English club has ever achieved the clean sweep of Premier League, FA Cup, EFL Cup and Champions League in a single season but Guardiola’s side are now tantalisingly close. The EFL Cup is already in the bag (and the Community Shield) and there are three more cups to win to trump Man United’s Treble triumph in 1999. 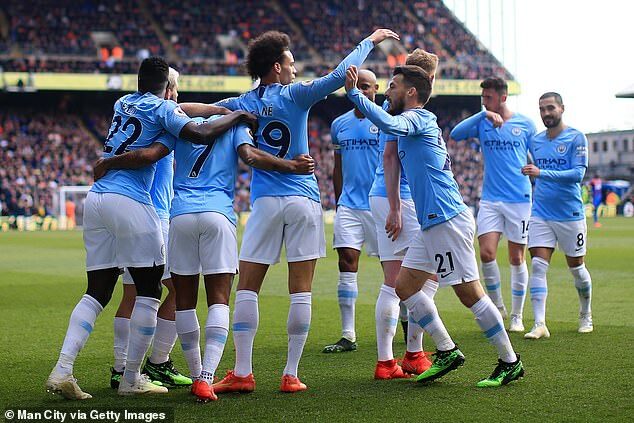 However, despite the enviable depth in City’s squad, they are going to be stretched to the limit by the intense fixture schedule between now and June 1. The physical and psychological pressure hasn’t shown too often, though City didn’t look themselves against Spurs last week, and Guardiola has repeatedly told his players they can rest when they retire. But there’s every chance the cracks will start to show at some point and Liverpool stand ready to profit. 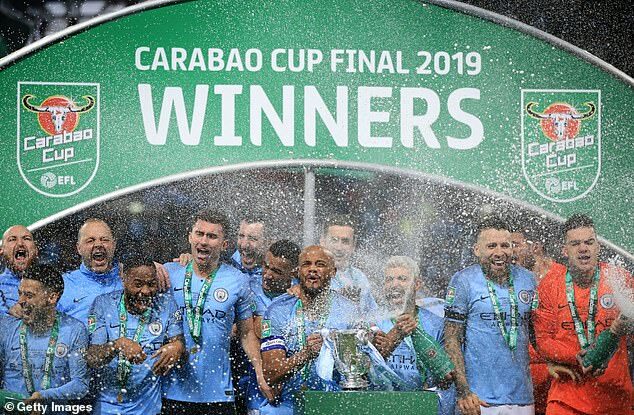 If they lose, it will probably mean that City go on to retain the title – becoming the first team to do so since United won in 2009. And it would also nudge them a little closer to a possible Quadruple, which would eclipse United’s amazing Treble achievement 20 years ago. 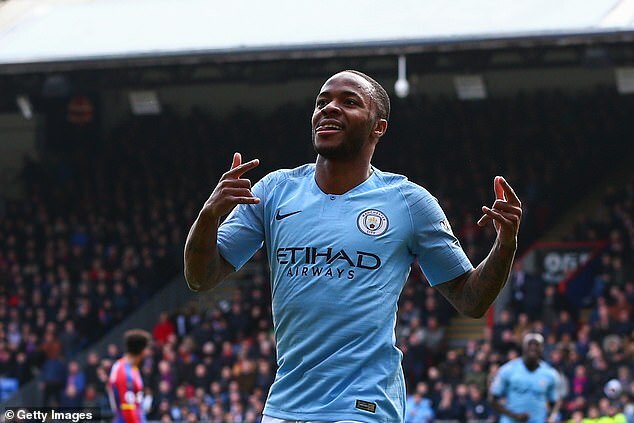 It’s that time of the year when Premier League players put a cross in a box and decide which of their peers deserve to be PFA Player of the Year. Indeed, you have to go back to the 2004-05 campaign to find the last defender to win the PFA award – Chelsea’s John Terry. 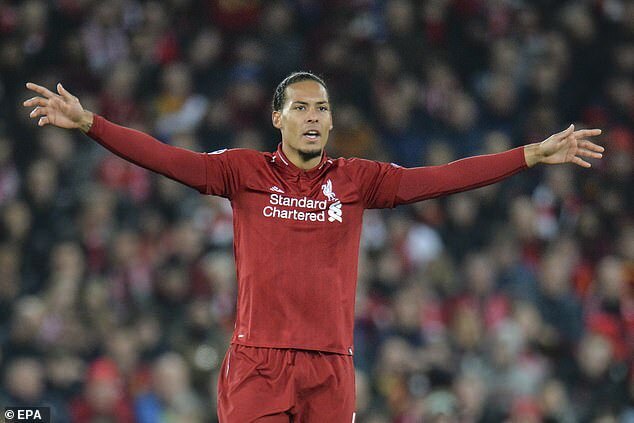 So even though Van Dijk has pretty much single-handed fixed Liverpool’s once leaky defence since arriving for £75million from Southampton in January 2018, he may not get the recognition he deserves. 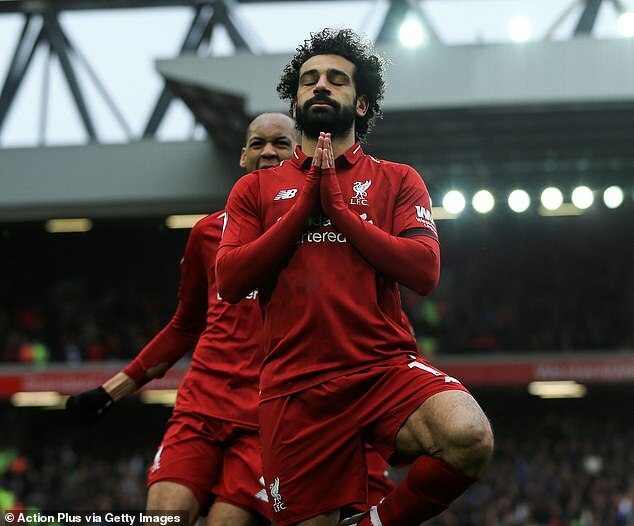 It seems pretty absurd to be talking in such terms about a player who has scored 22 times this season but Salah’s eight-game goal drought in February and March had Liverpool fans worried. 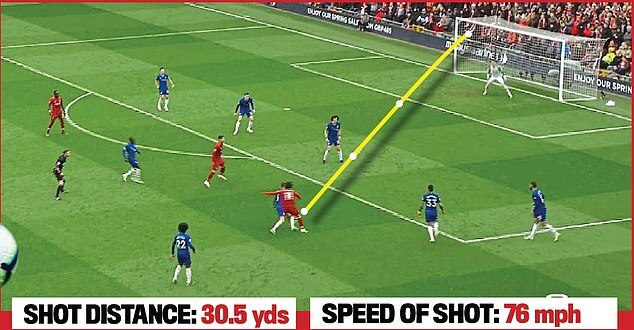 If he turns up and delivers in the big Premier League games between now and May 12, they’ll be commissioning a statue of him outside Anfield. Klopp made a name for himself by breaking Bayern Munich’s dominance of the German Bundesliga by winning back-to-back titles with Borussia Dortmund in 2011 and 2012. But in the present context, those successes seem an awful long time ago. The German hasn’t won a major piece of silverware since 2012 but has come within touching distance several times. 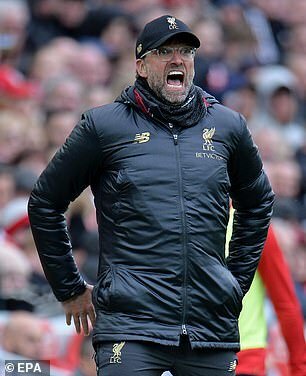 His Dortmund team lost agonisingly in the Champions League final to Bayern in 2013, while Liverpool were runners-up in both the League Cup and Europa League finals in the 2015-16 season – Klopp’s first with the club. They also lost last season’s Champions League final to Real Madrid, of course. 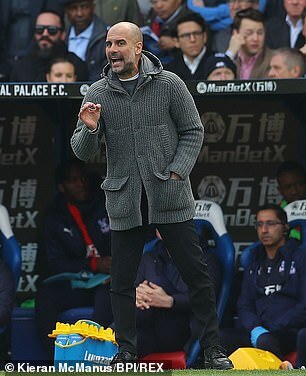 Guardiola, meanwhile, has been a serial winner and is an expert in sealing league wins – he won three with Barcelona, three with Bayern Munich and last season’s Premier League with City. It’s very much fresh in his memory and the City dressing room will feel the benefit. City are without key midfielder Fernandinho following last week’s game with Tottenham but the Brazilian isn’t expected to be sidelined for too much longer. Otherwise it’s a clean bill of health ahead of the run-in. For now. The race to finish as the Premier League’s leading scorer is almost as exciting as the title race. 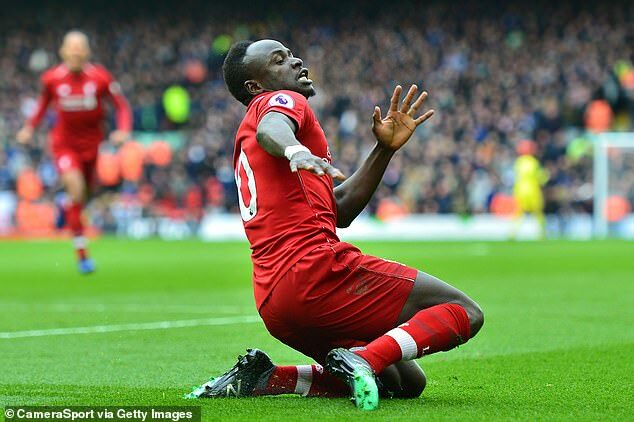 As it stands, City’s Sergio Aguero and Liverpool’s Salah lead the standings with 19 goals, closely followed by Sadio Mane on 18 and Sterling on 17. Arsenal’s Pierre-Emerick Aubameyang also has 17, as does Harry Kane but the Spurs man is injured for the remainder of the season. Salah edged out Kane last season and could well repeat the trick if he has indeed recovered his form. But to be honest, it’s anyone’s guess. For Liverpool, it’s clear: Winning the league for the first time since 1990 is the priority. It’s been such a long and agonising wait, with a few near-misses, and the added fact their rivals Man United have dominated during that period. For City, it’s a tricky one. They have so far discovered that the Premier League is significantly harder to retain than it is to win. Conquering Europe remains the one frontier City haven’t yet crossed and they’ll be obsessed with it until they achieve that.